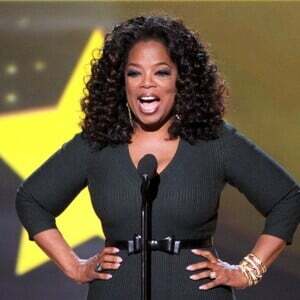 Oprah Net Worth: Oprah Winfrey is a media mogul, television host, and author who has a net worth of $3.5 billion. 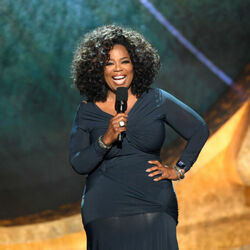 Oprah Winfey rose from poverty, abuse, and prejudice to become one of the most influential people on the planet. Today she earns an annual salary of $315 million thanks to her highly lucrative media empire. A dedicated scholar, she excelled at school and earned a scholarship to Tennessee State University. Her career in media began in her teens when she was hired by a local radio station to announce the news. From there she moved on to television with The Oprah Winfrey Show debuting in 1984. It quickly rose to the number one talk show in Chicago, displacing Phil Donahue. When Oprah began to broadcast nationally two years later, Donahue's show was once again surpassed in ratings. Oprah's diverse format included world and humanitarian issues, health, spirituality, and interviews with the non-famous and famous alike. She is credited for having revolutionized the television talk show platform. As an actress, Oprah won critical acclaim for her supporting role in the 1985 film The Color Purple, for which she received an Academy Award nomination. Oprah's production company, Harpo Productions, has produced several films and telefilms. Oprah has published five books and two magazines, one of which was named the most successful start-up ever by Fortune magazine. Her show aired in 140 countries before making the jump to her the Oprah Winfrey Network "OWN" which was formerly Discovery Health channel. So far, the "OWN" network has struggled to achieve the ratings that many media watchers expected. She did get big ratings after landing exclusive interviews with Lance Armstrong and Lindsay Lohan following their respective scandals. In 2007, Oprah opened the Oprah Winfrey Leadership Academy for Girls in South Africa, a boarding school for poverty-stricken girls. Oprah Winfrey was born January 29, 1954 in Kosciusko, Mississippi. She has never married but has been in a long-term relationship with Stedman Graham. During her lifetime Oprah has donated over $400 million to charity. Oprah Net Worth Milestones: In the early to mid 1980s, Oprah was earning "just" $100,000 per year, which is the same as around $200,000 per year after adjusting for inflation. Around this time, at the urging of film critic Roger Ebert, Oprah moved production of her show over to a company called King World, telling her revenue would increase 40x. In the short term Oprah's salary increased to $250k, the same as $500k today, she was under a 4-year $1 million contract. After signing with a new agent named Jeffrey Jacobs, Oprah's net worth underwent a major shift. Jacobs went back to King World and insisted that Oprah be given an ownership stake in her show. King World balks. 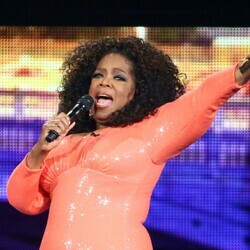 So Oprah and Jeffrey establish HARPO Productions which to produce the show on their own. Oprah at this point owns 25% of her show's profits. They then sell the show back to King World which sells it city by city. In the first year of this deal, Oprah made $30 million. By the 2000s, she was earning $300 million per year producing and syndicating her show on her OWN (pun intended). Oprah has been a board member of Weight Watchers since 2015. When she was brought on to the company, she was awarded $43.5 million worth of equity. That stake has grown to be worth more than $400 million. In 2019 she signed a multi-year deal with Apple to produce shows for the tech giant. Oprah Real Estate Portfolio: From 1985 to 2015 Oprah's primary residence was a 9,625 square-foot Chicago home which she sold in 2015 for $4.625 million. She also previously owned a penthouse in Atlanta which she sold in 2008 for $1.8 million. Arguably her most impressive real estate asset is a 23,000 square foot mansion in Montecito, California (near Santa Barbara) which she purchased in 2001 for $50 million. Today this home is worth at least $90 million. In 2016 she purchased a 23-acre farm estate, also in Montecito, for $29 million. She owns 63 acres in Montecito. 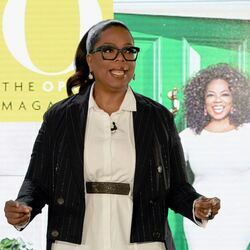 Oprah owns a 41-acre estate on Orcas Island in Washington State that she purchased for $8.275 million in 2018. In 2014 she spent $14 million for a home in Telluride, Colorado. Oprah bought her first property in Maui in 2002. Over the year she has spent as much as $60 million to piece together 163 acres. 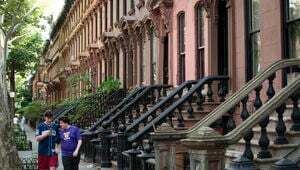 She spent $32 million in one transaction alone to buy the property next door. In total, Oprah owns at least $200 million worth of real estate in the United States.